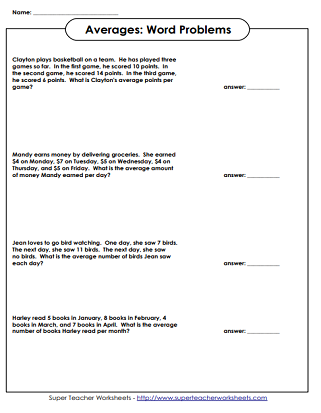 Printable worksheets for helping students learn about average/mean. Some will require only basic division skills, while others may require knowledge of long division. 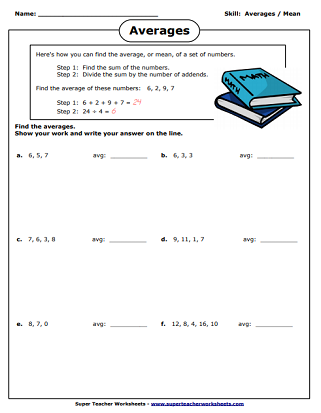 Worksheets for calculating the mean, median, mode, and range for number lists.